Easy to clean, resists fading and is UV stable. Permanent rubber reinforced face yarn provides the highest performance for removing soil and water. The face yarn is made from 100% post-consumer recycled PET Polyester fabric from drink bottles. The 30-ounce Tri-denier fiber system is designed for heavy traffic in commercial and industrial entrances. 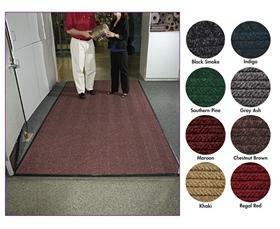 Color Line available in Black Smoke, Indigo, Southern Pine, Gray Ash, Maroon, Chestnut Brown, Khaki and Regal Red. FOB Shipping Point. 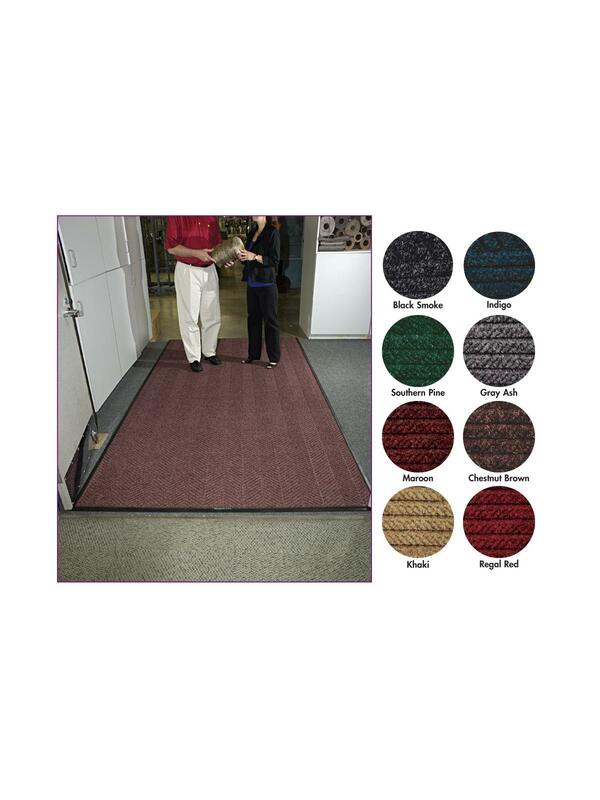 See Related Items tab for WaterHog Eco Elite with Fashion Border.